You are here: Home / WordPress Tutorial For Beginners / How do I hide dialogue boxes I don’t need? 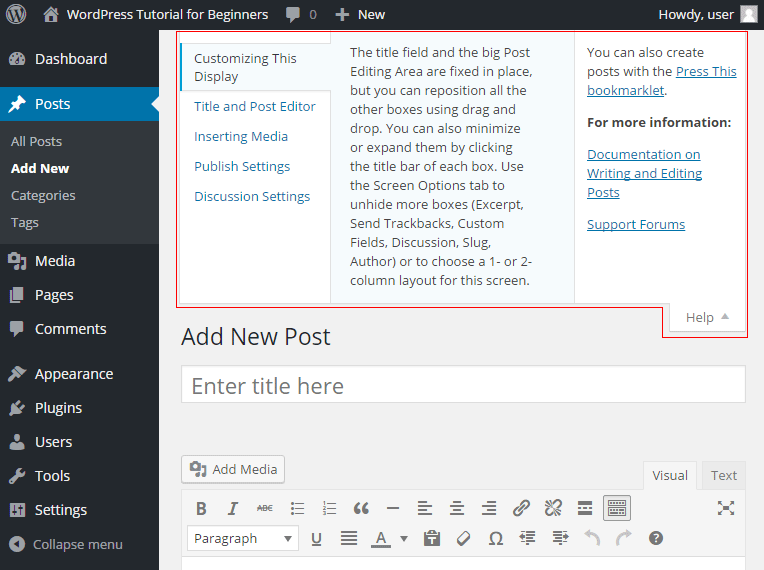 The WordPress editor has lots of dialog boxes that appear to the right and below the editor window. As you get more comfortable using WordPress, you will find that you use some of these dialogue boxes all the time. But you might find some dialogue boxes that you rarely, if ever, use. Scroll to the top of your editor screen. Click the Screen Options tab. Untick all of the tick boxes. 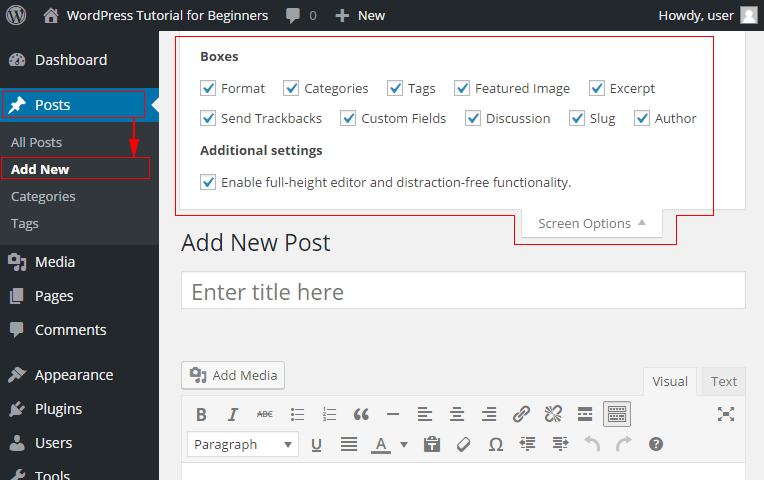 Look at your WordPress editor screen and see how it has changed. Turn the dialogue boxes back on one at a time and see what each one does. Use the tick boxes to display the dialogue boxes you use, and hide the dialogue boxes you don’t use. 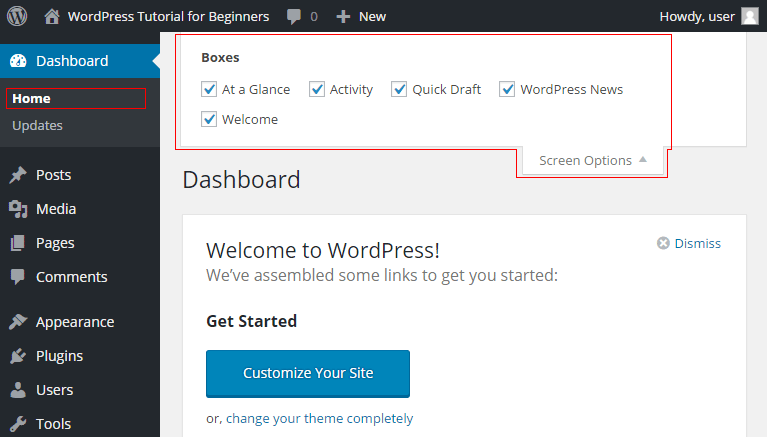 For instance, when you are in the WordPress Dashboard section you will see different Screen Options to when you are in the WordPress post editor section. The Widget area Screen Options has an Accessibility mode to make using WordPress easier for people with mobility issues. 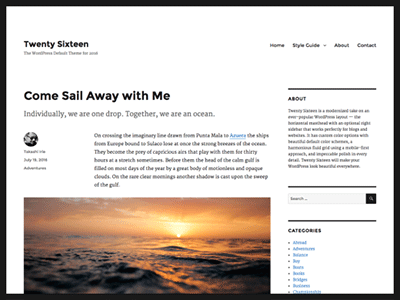 Experiment with the Screen Options and help tabs, you can customise WordPress to suit your own needs.